When it comes to the world of skincare, there's one brand that seems to dominate the blogosphere and that brand is Liz Earle. Its products are regarded by some as the answer to achieving beautiful skin and it boasts an enormous cult following. Now, I have tried a lot of skincare brands in the past, from budget friendly to luxury high end and most things in between. But I've never properly tried anything from Liz Earle before. There are two main reasons for this. 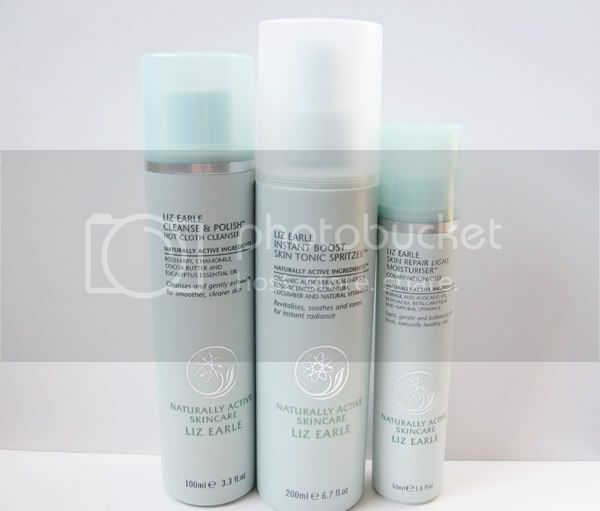 Firstly, I always had a preconceived notion that Liz Earle products were out of my price range, simply because I've constantly heard that they were amazing, so I automatically thought they must be ridiculously expensive. Secondly, I didn't quite believe that their most famous product, Cleanse & Polish, could actually work for all skin types. Surely that couldn't be possible? It all seemed too good to be true. I received a travel size sample of this famous Cleanse & Polish Hot Cloth Cleanser in a Latest In Beauty box and immediately wanted to try it out. After using it for just three days, I was so impressed that I purchased the 100ml pump starter kit straight away, which comes with two muslin clothes and a zipped travel bag. Cleanse & Polish is really incredible stuff. 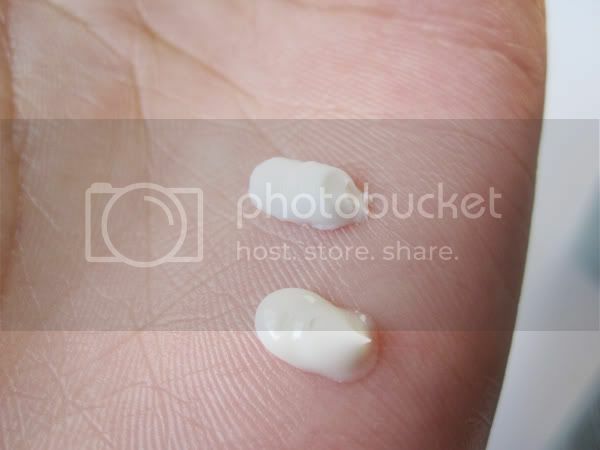 It's a very thick, concentrated cream that has a menthol fresh scent to it. You apply it to dry skin and it just feels wonderful, with a slight cooling sensation. It literally melts into your skin, and removes everything including a full days makeup and waterproof mascara in a matter of minutes. For daily cleansing, I just use half a pump, and one pump for removing make-up and cleansing at night. To remove the cleanser, you soak a muslin cloth in hand-hot water, wring it out and then gently 'polish' your face, which gives it a nice exfoliation at the same time. It may seem laboursome at first, but it's as quick and easy to use as a normal face wipe if you want it to be, or you can take your time and enjoy this ritualistic method. My face felt very smooth and thoroughly clean, with no sense of it feeling drying afterwards. After using this for a week and a half, I noticed that my skin looked clearer and healthier. Cleanse & Polish is suitable for all skin types and ages. I don't know how this works exactly, but my mum uses it and has dry/mature skin and it works just as well for her as it does on my younger/combination skin. It might have something to do with it being plant-based, the cocoa butter in it or just the fact that it's very gentle yet effective, but I've never come across a cleanser before that has such wide usability and I loved using the muslin cloths with it. In case anyone is interested, I clean mine simply by popping them into the washing machine on an average heat like 40 degrees. They do shrink a little (which isn't really an issue considering how big the Liz Earle cloths are!) and they will become softer over time. Even if you don't use Cleanse & Polish, I'd certainly recommend adding a muslin cloth into your skincare routine and it saves on a lot of cotton wool too! I was interested to try out the next two steps from the Daily Essentials range and picked out a toner and a facial moisturiser to complete my new skincare routine. I chose the Instant Boost Skin Tonic*, which comes in a normal bottle or with a spritzer attachment. As I prefer my products to be as fuss-free as possible I chose to try out the spritzer version. Instant Boost Skin Tonic is a toner that has a light floral fragrance which I wasn't that keen on at first, but soon got used to after using it a couple of times. The spray produces a very fine mist which feels as light as air and made my skin feel refreshed and soft. Like Cleanse & Polish, it is suitable for all skin types and won't dry your skin out. 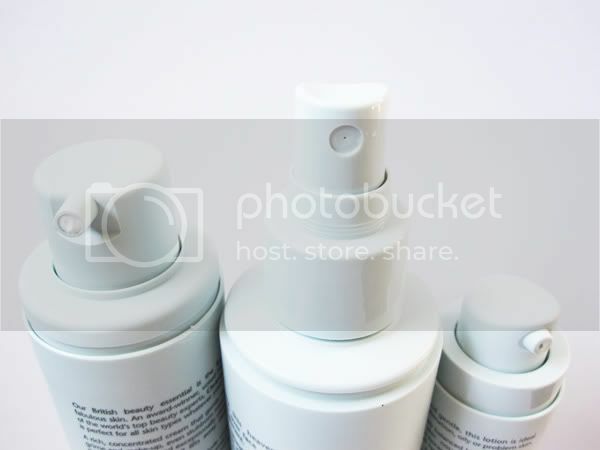 It can also be used all over the body, for setting your make-up, and I think it would be ideal to use in summer after storing it in the fridge for a quick all over cool down when its hot. To finish with, I decided to try the Skin Repair Moisturiser Light* which is suitable for oily/combination skin. The pump on this is brilliant as it dispenses a small amount at a time which is very useful considering that I found that a little goes a long way with this moisturiser. It does have a bit of a weird scent to it, kind of reminded me a little of a strong foundation type of smell, but again with continued use, I hardly noticed it. The formula is light and it soaks into the skin straight away with no greasy residue. It worked very well for my oily/combination skin in that it controlled the oily areas (typically my T-zone) and hydrated the drier areas such as my cheeks and around my nose. There's a Skin Repair Moisturiser suitable for everyone's skin types so all are catered for. 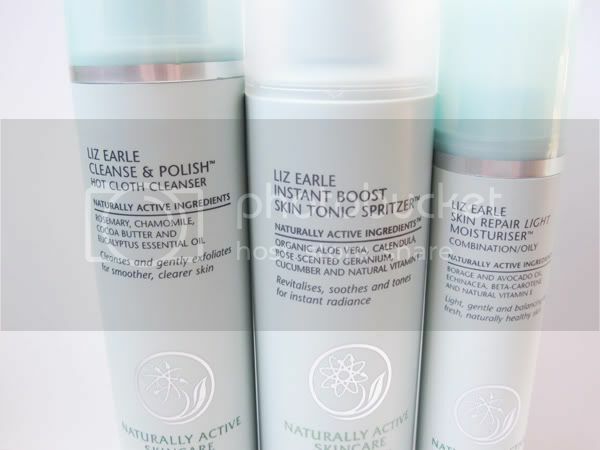 All of the products I have mentioned are available to purchase from Liz Earle in trial/travel sizes which is great for those on a budget or who simply want to try before committing to the full sizes. To review these properly, I used them for about a month to get a good feel for what they were doing for my skin. (Picture above: Cleanse & Polish Hot Cloth Cleanser top, Skin Repair Moisturiser Light bottom). Summary: I am very impressed by these three products and will certainly continue to repurchase them. Not only am I happy that they're all relatively affordable (I'd say that they're mid-range priced), and that they're also BUAV approved and use naturally active ingredients, but these really worked well for me and my skin looks and feels better for using them, which is basically what I want from a good skincare routine! Liz Earle has definitely set the standard for me when it comes down to comparing everything else skincare wise that I try from now on. Disclaimer: Products with an * are PR samples, opinions are 100% honest and my own as always. Have you tried anything from Liz Earle? What did you think? I'm so sold on this. Every time I read a new review, I want it so badly1 But I'm determined to get through the back log of products I have first... After that though, Liz Earle products are mine! I love this range! i compare every cleanser to cleanse and polish and havent found one which I adore as much! need to re stock! i think i'll be doing the same from now on! I need to try this! All I hear is such good things and you've convinced me now!